FitFolio is an iRiver Story HD case that combines the fit of a precision-molded hard shell case, with the cover-to-cover protection in a book-style folio. The form-fit hard-shell cradle keeps your Story securely in place, so it doesn't slip or slide, even when the cover is folded back and held in one hand. 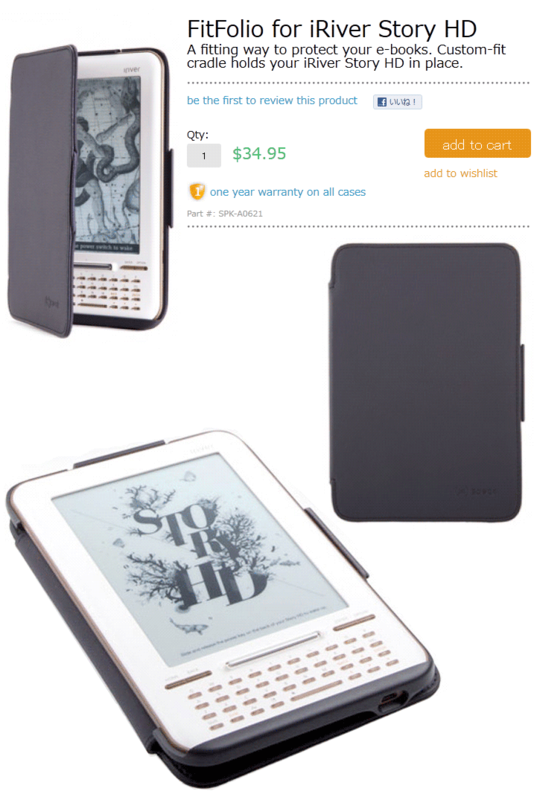 A vegan leatherette book-style cover protects the Kobo screen when it’s in your bag or your jacket pocket. The cover is lined with super-soft padded microsuede and is held securely in place with a small bungee cord. Q: Will the FitFolio fit my iRiver Story HD? A: Yes! Our FitFolio has been measured to have a precise form-fit to the iRiver Story HD. Our form-fit FitFolio is designed to maintain its precision-fit over time. Q: What is the finish on the outside of the FitFolio? 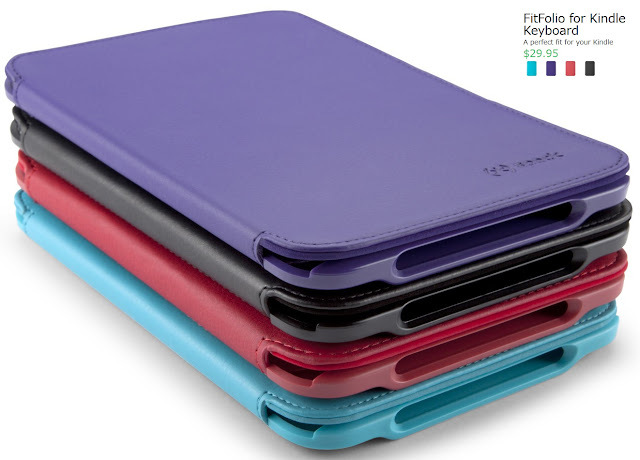 A: FitFolio has a leatherette finish for a slim-fit gripping experience. Q: Can I use all the features of my iRiver Story HD without removing the FitFolio case? A: Yes! We've designed the FitFolio to have cut-outs for all the iRiver Story HD's buttons, lenses, speakers, ports, and sensors. Q: What is the FitFolio made of? A: FitFolio is a combination of paper board and polyurethane (PU) that provide padded protection, especially on the front of the device. Q: Can I be notified if a color or item is out of stock? A: Sure! Just go to the page for the product style and color you want and hit the “Out of Stock? NOTIFY ME” button. A: Please email us! For questions about an order you have placed or other general questions, please email customerservice@speckproducts.com.